The newest Marvel film – Doctor Strange – has premiered in some places around the world, and since I’m lucky enough to live in one of the places that got the movie real early , I can already give you my thoughts on it! Since this review is ahead of the wide release of the film, some of it will be spoiler-free and then I’ll give a big spoiler warning for those who want and can continue to read further. Let’s go! IMDb summary: A former neurosurgeon embarks on a journey of healing only to be drawn into the world of the mystic arts. First, I will begin this review by stating that I’m a Marvel fangirl, so that could color my judgment (I would love to be a DC fangirl as well, it’s just that DC doesn’t allow me to be one yet – praying that Wonder Woman will be good). I have reviewed more than a couple of Marvel films already and gonna link them for those who are interested: Guardians of the Galaxy, Avengers 2, Ant-Man, Civil War. Also, I would like to briefly mention that, once again, the screening that I attended had a predominately male audiences, like the majority of the comic book movie screening this past year. This kind of audience breakdown explains why Marvel doesn’t want to make a Black Widow movie but I do hope that Captain Marvel will bring more girls/women to the cinema. I was really looking forward to Doctor Strange for quite a while, I was really excited to see magic being introduced into the MCU. I was also interested to see if Marvel Studios will be able to launch another successful franchise, which revolves around a weird character. So far, their gambles (Guardians and Ant-Man) have paid off, so Doctor Strange will probably follow suit, because, let me state this loud and clear – it is an amazing movie. I will go through the different aspect of the film in and give you an informative but a spoiler free overview. Then, I will give you a spoiler warning and talk about interesting story points. Lastly, although the first part of the review will be spoiler free (I’ll try my best), I would still advise you to read it at your own discretion. It’s gonna be a long post, so get some snacks or drinks. A few people worked on the script as well as the story of the movie, including the director Scott Derrickson, C. Robert Cargill (writer of the Sinister movies) and Jon Spaihts (wrote Prometheus and these upcoming pictures: Passengers, The Mummy and Pacific Rim: Maelstrom). I wasn’t that familiar with their previous work but they impressed me a lot with the story and dialogue of Doctor Strange. Although the movie’s narrative revolved around the origin story, it was executed really well, without making it cliche or stereotypical. The dialogue and the jokes were also marvelous. All of the comic relief worked and tied the movie to brand that is Marvel (in contrast to DC). The familiar types of jokes were a reassurance that one was watching a Marvel movie since the visuals were so unique, different and nothing I’ve seen before in a Marvel film, or in any film for that matter. The dialogue and the character interactions were snappy, emotional and clever. The seeds have also been sown for future sequels and the references to the wider universe (Avengers and Infinity Stones) were also present. My only gripe with the writing was, and I cannot believe I’m saying this, the villains. AGAIN. Marvel, come on! Either cast more appropriate actors, or have better writing for your villains. Don’t get me wrong, they were not that bad, just not quite right and as high of a quality as the rest of the film. Scott Derrickson, who has mostly worked on horror films, directed the movie and did a spectacular job. However, half of the praise should also go to the cinematographer Ben Davis (A Long Way Down, Guardians, Age of Ultron, Genius), because the visuals of the movie were its strongest point. They are really hard to describe and deserve to be seen on the biggest screen possible. Despite the visuals being indescribable, I will attempt to explain them somehow. Basically, all the warping and shaping of reality gives off feelings of madness and has a slight Mad Hater/Wonderland aura. All of the folding buildings do remind a bit of Inception, but I would also say that Doctor Strange takes this type of visuals to an extreme. The mirror effects, the kaleidoscopic folding, the clockwork-like structure and the domino-like movements really make the film a sight to behold and marvel at. The variety of different locations were also really great – they added a global aspect to the film and even more flavor. I absolutely loved the fact that the Ancient One lived in Nepal – it kinda tied the sorcerers and magic to Buddhism and monks (at least that’s the connection I made in my mind). Doctor Strange was also one of the only films in which magic and the modern world worked well together because I usually enjoy fantasy films that are set in the past more, but this picture broke that tradition. The action was also great – the movie found a balance between physical and magical fights as well as their mixture. Lastly, I loved all the costumes of all the characters, but especially Strange’s. His cape was wonderful – not only a costume but also a tool, a living tool – so cool! Other gadgets that he had were also neat and have a lot of merchandise potential (read the spoiler part to find out what I’m definitely buying). On a separate note, Doctor Strange was the first movie to feature the new Marvel Studios logo. This one looks more cinematic than the last one and it also has a sense of nostalgia and grandeur – something along the lines of ‘oh, look how far we’ve come’. Benedict Cumberbatch as Stephen Strange / Doctor Strange was AMAZING (probably have repeated this word like 100 times in this review). His American accent was believable and his whole portrayal of the character – impeccable. He made me both like and hate Strange at first. He was funny, funky, posh, annoying, charming and charismatic – such a well-rounded performance with layers. Another great casting on Marvel’s part, another great leading man. I also loved his purely physical acting – the hand movements. I liked how all the sorcerers were moving both their hands and arms. This makes their magic appear different from Scarlet Witch’s as she relies more on the finger movements. Also, I’ve mentioned that his character’s gadgets had a lot of merchandise potential. Well, for one, I want that dimensional travel ring since I wear a lot of nerdy jewelry. Also, his costume will probably be at the top of everyone’s cosplay list, while I can at least be happy that my winter coat is the same color as his cape. Recommended actor’s movies: Sherlock, The Imitation Game, Star Trek Into Darkness, Black Mass, The Fifth Estate, The Hobbit 2. Tilda Swinton as the Ancient One was superb too. Some people were annoyed that they gender flipped the character, others had racial issues. I didn’t have any problems with Swinton being cast because I really admire her fluidity as an actress – she plays with masculine and feminine a lot and I think she could probably transform into a different ethnicity for art’s sake if that wasn’t so frowned upon these days. I’m not saying that Asian actors shouldn’t be cast in Asian roles, but I also cannot agree with those that are saying that creative liberties cannot be taken when adapting a comic book to the big screen. Recommended actor’s movies: We Need to Talk About Kevin, Only Lovers Left Alive, Snowpiercer, A Bigger Splash, Hail, Caesar!. Rachel McAdams as Christine Palmer was excellent as well. I liked the fact that McAdams was finally cast as a franchise character because I’m a fan of her and would like to see more of her. I liked how she played probably the only normal person in the film and how she reacted to everything that was happening around her. She was both relatable and really funny. Recommended actor’s movies: Midnight in Paris, Southpaw, Spotlight. Mads Mikkelsen as Kaecilius to me, sadly, was the weakest link in the cast. His performance seemed a bit off and I cannot pinpoint why. I’ve seen Mikkelsen play a wonderful and scary villain in Casino Royale, so I’m quite annoyed and devasted that he wasn’t as good in this picture as he could have been.Recommended actor’s movies: Casino Royale. 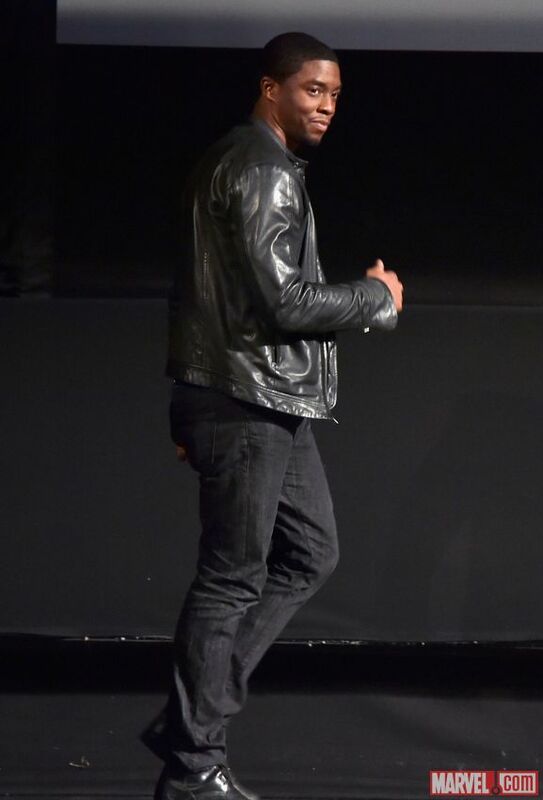 Chiwetel Ejiofor was exceptional as Karl Mordo. I loved how emotional his performance was, how it could go from extremely energetic to a very subtle in a heartbeat. Would love to see more of his character and cannot wait for him to be the villain in the sequel. Recommended actor’s movies: The Martian, 12 Years a Slave, Triple 9, Z for Zachariah. Benedict Wong as Wong was really nice. I liked how funny he was but, at the same time, how he could hold his own against Cumberbatch’s Strange. I would love to see more of his character’s and Strange’s friendship because the two actors had great chemistry! Recommended actor’s movies: Prometheus, The Martian. In short, Doctor Strange is another win for Marvel. The film successfully told an interesting origin story, introduced a bunch of characters and blew me away with the visuals. I’ll most likely see it again in a few weeks time. In this part, I would like to talk about a few plot points as well as a few action sequences that really stuck a cord with me. To begin with, let’s look at the characters and their interactions. I loved the writing for Doctor Strange – he started as a super cocky yet efficient person and had an amazing story of hero’s growth. I really liked seeing him as a surgeon, just being in his element in contrast to him being completely lost and failing miserably during his magical training. Strange’s interactions with the other doctors as well as with Christine were also amazing: funny and kinda annoying but still enjoyable. I also thought that the love story worked and wasn’t forced. It seemed organic and was full of both bad times (the fight in the apartment – amazing back and forth dialogue) and nicer ones (Christine saving Strange’s life). I loved Strange’s relationship with his mentor – the Ancient One – too and I liked the pep-talk that she gave him before dying. I also enjoyed the ideas and lines that the scriptwriters wrote for her character, including ‘Not everything makes sense, not everything has to’. Strange’s and Mordo’s relationship was also interesting and had more than a few moments of foreshadowing. The biggest hint at what will happen in the future was, of course, the post-credits scene, in which Mordo was seen stealing powers from the other sorcerers. This probably means that he will be the main villain the sequel . As I have said, the movie had plenty of jokes and quips. Some of the best ones came from Strange’s and Wong’s interactions: ‘Wang? Like Adele?…Or Aristotle?…Or Eminem?’; ‘Try me, Beyonce’, followed by a shot of Wang listening to the song Single Ladies; ‘People used to think I was funny. Did they work for you?’. The wifi moments from the trailer was still funny as well, despite the fact that I’ve seen it numerous times. The mid-credits scene’s self-refiling pint of beer was extremely entertaining too. All of the action sequences were amazing and they were all also kinda distinct. Doctor Strange’s first encounter with the Astro plane was crazy – so cool and so mad. That taster we got in Ant-Man was nothing compared to this. It got a bit creepy at times, though, especially with those tiny hands (Deadpool?!). The fight in the Astro plane in the hospital was cool too and expanded on the idea that we are now dealing with multiple realities (that voltage and magic relation – great). Same with that mirror world – I liked the fact that we got to travel to it and through it quite a lot. The time gem, which is the eye of Agamotto, really came into play in the last act of the film and was utilized well. I liked the turning back of time, the stopping time, the time loop and the breaking the laws of nature plot-points quite a bit. The villains of the film were my biggest and only issue. The way that Dormammu was realized seemed a bit cliche and, for such a powerful being, he seemed to be defeated to easily. I hope he comes back in the sequel. The character of Kaecilius was only okay, while he could have been amazing. He had reasons to be angry and also had a kinda personal relationship to the Ancient One but he just didn’t seem to be used fully. Moving forward, Doctor Strange will definitely show up in the Infinity War and his time gem will have to get stolen during the first part of the Avengers 3. The mid-credits scene with Thor might also be an indication Strange will show up in Thor Ragnarok – that would actually be really cool, would love to see Strange and Loki interacting! So, that’s it for the spoiler part. I would love to hear what you liked and disliked about the movie in the comments! How are you doing today? I am doing very well, thank you for asking! You want to know why? 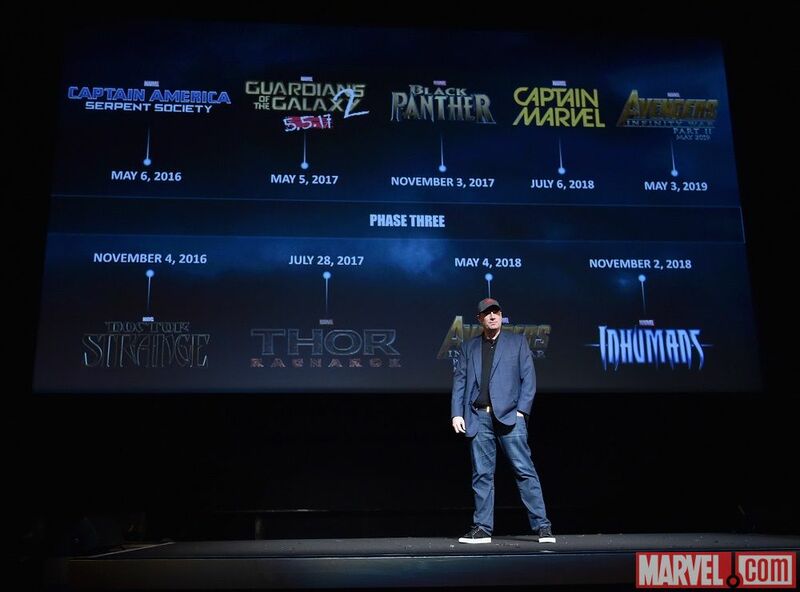 Because MARVEL JUST ANNOUNCED THE WHOLE LINEUP OF PHASE 3 MOVIES *heavy breathing*. 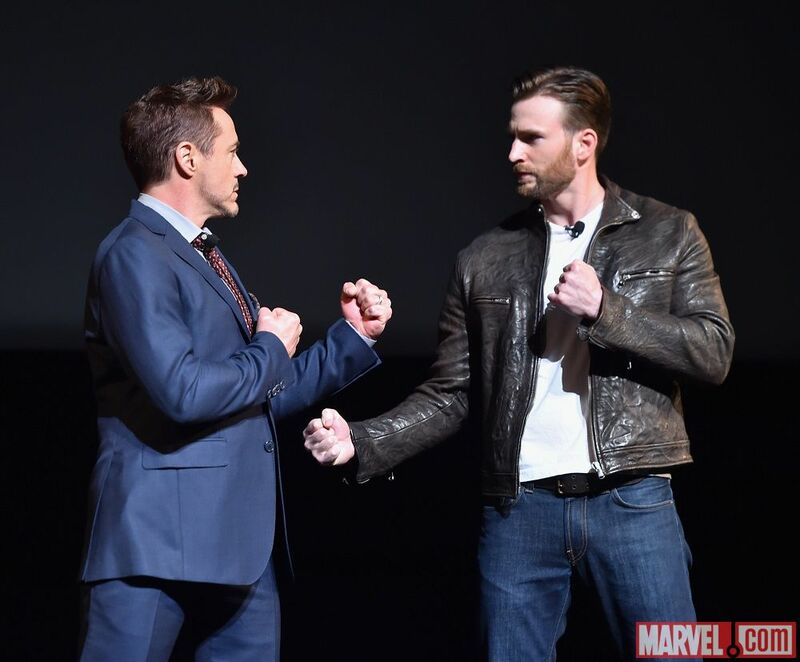 May 6, 2016 Captain America Civil War – practically everybody knew that this was happening because, recently, there have been so much rumors about it. I loved the first two Cap’s movies (review) and this one will be no exception, especially when it has RDJ in it. Last Downey’s movie review. I also loved Chris Evans in Snowpiercer. November 4, 2016 Doctor Strange – Benedict Cumberbatch’s deal hasn’t been finalized yet so they couldn’t announce him in the lead role. But it probably will happen sooner or later, they have to start shooting in spring if they want to make the deadline. May 5, 2017 Guardians of the Galaxy 2 – the underdog movie which opened at the end of this summer will open the summer movie season of 2017. Props to James Gunn and the company. My review of the Guardians of the Galaxy. July 28, 2017 Thor Ragnarok – Chris Hemsworth will get another chance to make us fall in love withThor. However, I more excited that we will get to see Loki! 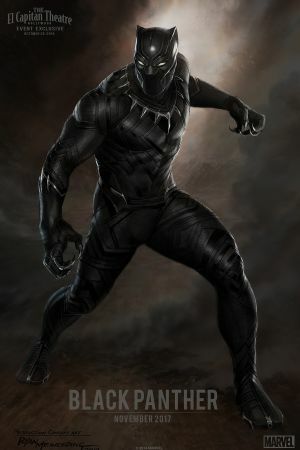 November 3, 2017 Black Panther – first lead of color will be played by Chadwick Boseman and he will also have a cameo in the Civil War movie. May 4, 2018 Avenger Infinity War Part 1 – they are dividing the 3rd Avengers film into two parts. It will probably be the movie where cosmic and earth universes collide. July 6, 2018 Captain Marvel – the first female lead Marvel movie. As sad as I am that Black Widow isn’t getting her solo movie, I am excited to meet a new strong female character. November 2, 2018 Inhumans – expansion of the cosmic universe! May 3, 2019 – Avengers Infinity War Part 2. So, are you guys happy as much as I am or you are already bored with all these comic books movies? I respect Marvel so much because they have given us (the fans) everything we have ever asked for. A few weeks back DC announced their whole slate of movies but I haven’t been as excited as I am now. As much as I love DC TV shows (Arrow and The Flash to be specific), I believe DC/Warner Bros will have to come a long way to be equal to Marvel/Disney when it comes to movies. Exclusive scene from Age of Ultron (they showed it at SDCC 14): scene+trailer That song is so creepy but so good. Gives me shivers!